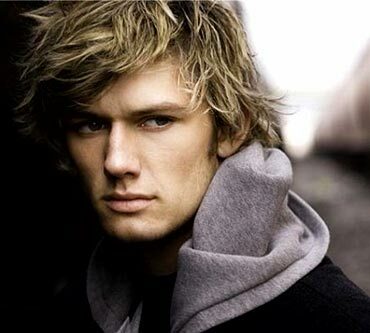 Alex Pettyfer is touted as one of the handsomest men in Hollywood. 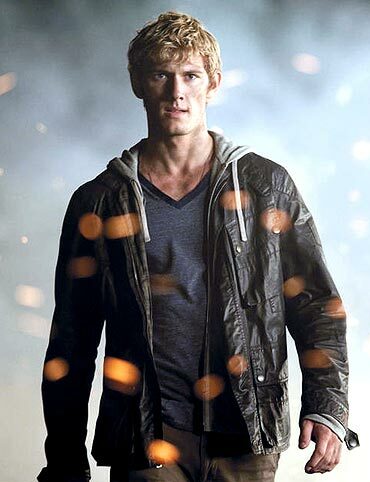 What's more, the 21-year-old is not just a pretty face -- his work in movies like Stormbreaker and Beastly have been critically acclaimed. How was the experience of working on the film? I'm really happy doing this movie. It was an amazing experience to work with DJ Curaso. I have always been a big fan of his work. I never imagined that I would be doing a movie with him so early in my career. What made you say yes to the movie? I loved the character and I thought it was very different from all my previous work. Also, I loved the script. I found the story about this guy who starts off as an insecure boy and then turns into this warrior, was very interesting and gripping. The film is based on the novel of the same name written by Jobie Hughes and James Frey. Have you read the book before shooting for the movie? I didn't read it when I was shooting. I have read it now, though, and I loved it. The film and the book are very similar. There are a lot of sci-fi flicks in Hollywood. How is I Am Number Four different from the rest? What makes I Am Number Four different is the romantic angle attached to the movie. There aren't many sci-fi films, which also have a love story. It was tough to portray John, my character in the movie. I did a lot of physical training -- almost for 2 months before I started shooting the film. I watched a lot of super action movies like Starman and other superhero flicks. How was it working with director DJ Curaso? It is a privilege to work with people whose work you have admired. His previous movie, Disturbia was fantastic. DJ is so focussed about his work. He always wants to get the best out of his actors, and somehow he gets it. It was fun working with him. The movie is set in high school. How similar were you to your character during that time? Have you done something crazy for any girl when you were in school? In the movie you have to choose between becoming a warrior and getting the girl. What would you choose if the situation was similar in real life? I would definitely go for the girl. I don't want to become a warrior and fight. Are you and your co-star Dianna Agron dating each other? Have you seen any Bollywood films? I love Bollywood. I have seen some movies like Bend It Like Beckham and Bride and Prejudice. I haven't been to India but I would love to come and see the place. Would you like to do a film in Bollywood?